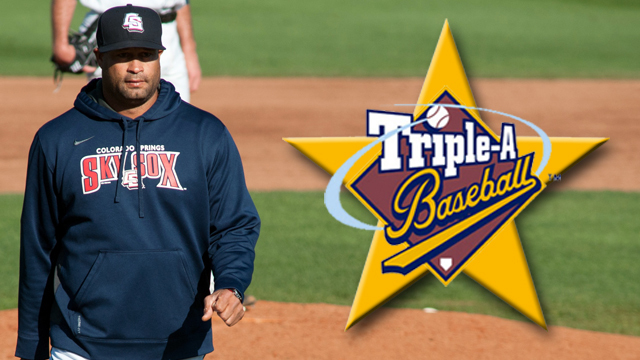 The Colorado Springs Sky Sox and the Pacific Coast League have announced that Sky Sox pitching coach Fred Dabney has been selected as the league's pitching coach for this year's First National Bank 2015 Triple-A All-Star Game at Werner Park in Omaha, Nebraska, home of the Storm Chasers. The game will take place on Wednesday, July 15 starting at 6:05 PM MDT and will be broadcast live on MLB Network. Dabney, 47, is in his first season as pitching coach for the Sky Sox and his 12th overall season with the Brewers. He joined the organization as pitching coach at Class-A Huntsville in 2004, spent seven seasons in the same capacity at Brevard County from 2005-11 and spent the last three seasons with Triple-A Nashville as their pitching coach. During the 2010 season, Dabney served as interim bullpen coach for the Brewers from April 23 to May 23. He took the place of Stan Kyles, who underwent surgery in April. During his three plus seasons as a pitching coach in the Pacific Coast League, Dabney has twice coached the PCL's Pitcher of the Year (Jimmy Nelson -2014, Johnny Hellweg - 2013) and helped lead Triple-A Nashville to the league's lowest ERA in 2014. Prior to joining the Brewers, Dabney spent five seasons as a pitching coach in the Texas Rangers organization with the Rookie GCL Rangers (1999), Class-A Savannah (2000), Class-A Charlotte (2001-02) and Class-A Stockton (2003). While with Charlotte, he coached in the Florida State League All-Star Game both seasons. His staff posted a league-best 3.40 ERA in 2002 and ranked third with a 3.37 ERA in 2001. Dabney played nine minor league seasons as a pitcher with Chicago-AL (1988-93), Cleveland (1994) and Chicago-NL (1995-96) and finished his career in Taiwan (1997). He was originally drafted by the White Sox in the 15th round of the 1988 draft after attending Seminole (OK) Junior College. Omaha's Brian Poldberg will be the PCL's manager for the All-Star Game. Oklahoma City's hitting coach Franklin Stubbs and Omaha's trainer Dave Iannicca will round out the PCL's All-Star field staff.